Paul Pogba continued his impressive upturn in form under Ole Gunnar Solskjaer with the opening goal for Man Utd at Fulham on Saturday. Knowing that a win at Craven Cottage could move them into fourth place, temporarily at least ahead of Chelsea’s trip to Man City, United took just 14 minutes to find a breakthrough. 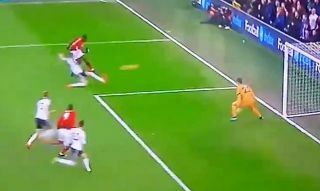 After an excellent pass from Anthony Martial, Pogba latched onto it in the box after making a decisive run forward and produced a stunning finish to find the back of the net, as seen in the video below. That’s now seven goals and five assists in nine Premier League games under Solskjaer, as the World Cup winner appears to be relishing the freedom and attacking role that the Norwegian tactician has given him. A fine, fine strike from the Frenchman!